The federal government is investigating whether Minnesota is overpaying the nonprofit healthcare plans that administer its Medicaid programs. The issue arose after UCare, one of the managed care plans that subcontracts with Medical Assistance (the state Medicaid program), unexpectedly returned to the state $30 million in excess reserves last year when lawmakers were facing huge deficits. Three other managed care companies -- Blue Plus, Medica, and HealthPartners -- refused to make similar "donations," even though these plans had higher Medicaid operating margins than UCare in 2010, according to Allan Baumgarten, an independent research consultant and author of Minnesota Health Market Review. In February, Minnesota Department of Human Services (DHS) Commissioner Lucinda Jesson told lawmakers that federal authorities had contacted her last summer about the investigation. But she could not say which federal agency was involved or the scope of their queries. As part of the Medicaid program, UCare and the other managed care plans subcontract to four dental carriers, including Delta Dental of Minnesota, which administers the bulk of the state's Medicaid dental benefits. In January 2011 Jesson initiated 1% profit caps and competitive bidding for the health plans, but the possible effect this will have on the dental care subcontractors is yet to be determined. Joe Lally, vice president for strategic planning at Delta Dental of Minnesota, which supports Medicaid dental services through Medica, Blue Plus, and Metropolitan Health Plan, noted that his company is not part of the federal investigation. "It is not a risk arrangement; it's a self-insured arrangement," he told DrBicuspid.com. "We're simply paid for the services we provide in terms of getting the network together, processing claims, and providing customer service." In addition to the federal investigation, Sen. Chuck Grassley (R-Iowa) has launched a separate inquiry into Minnesota's management of the Medical Assistance programs -- a $3.7 billion-a-year business for the health plans the state pays to manage care for public patients. Grassley has sent requests for information to the Minnesota DHS and officials in 49 other states. Lally had heard from lawmakers that the investigation is likely focusing on the profits that the healthcare plans are making from public health programs. Want to live longer? Trade some of the red meat in your diet for fish, nuts, whole grains, and other healthier protein sources, Harvard researchers say. That's the conclusion of a new study, published this week in the Archives of Internal Medicine, that found that the risk of dying at an early age -- from heart disease, cancer, or any other cause—rises in step with red-meat consumption. Eating too much red meat, which is high in saturated fat and cholesterol, has long been seen as unhealthy, especially for the heart. The new study, however, is the first to estimate the effect of swapping out red meat on a person's lifespan. Using data from two long-running studies of health professionals, researchers tracked the diets of more than 121,000 middle-aged men and women for up to 28 years. Roughly 20% of the participants died during that period. On average, each additional serving of red meat the participants ate per day was associated with a 13% higher risk of dying during the study. Processed red meat products -- such as hot dogs, bacon, and salami -- appeared to be even more dangerous: Each additional daily serving was associated with a 20% higher risk of dying. Based on these findings, the researchers estimate that substituting one daily serving of red meat with fish, poultry, nuts, legumes, whole grains, or low-fat dairy products would reduce the risk of dying in this stage of life by 7% to 19%. If everyone in the study had slashed their average red-meat intake to less than half a serving per day, the researchers say, 9% of deaths among men and 8% of deaths among women could have been prevented. An Erin dentist has been indicted by a Houston County Grand Jury on charges of illegally prescribing controlled drugs. Dr. John S. Paffrath, 56, of 71 East Market St., Erin, was charged in a four-count indictment handed down March 5, with unlawful dispensing of prescriptions. 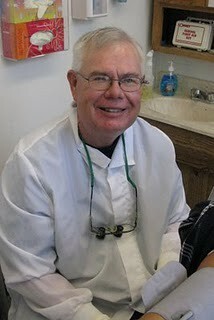 He works as a dentist at the Hillcrest Dental Clinic on East Main Street in Erin. The Tennessee Bureau of Investigation opened a case on Paffrath in June of 2011 after being requested by the 23rd Judicial District Attorney General’s Office to investigate allegations against him, according to a TBI news release. Between January 2011 and July 2011, Paffrath prescribed controlled drugs such as hydrocodone, oxycodone, xanax and valium to at least four patients without seeing them in his office. He prescribed the medications in quantities inconsistent with therapeutic necessity and for medical complaints outside his area of expertise, the release indicated. Former state Sen. Cheryl Jacques is being accused by the state Ethics Commission of using her state position as an administrative law judge to pressure a dental office to reduce her brother-in-law's dentist bill. The commission said conflict of interest laws prohibit state employees from using their positions to seek unwarranted privileges. Jacques, who represented the Attleboro area when she was in the Legislature, is alleged to have threatened to report the dental office to the state Attorney General's Office and get it removed as a provider from the insurance company. "Jacques' brother-in-law received dental services from a dental office and received a bill for those services. Sometime in the fall of 2010, Jacques contacted the dental office on her brother-in-law's behalf, and spoke to the office staff and the owner of the office. She identified herself as a judge to the office receptionist, and as Judge Jacques to the owner. "She asserted that the dental office overcharged her brother-in-law for the services, and she demanded that the dental office write off the remaining balance of the bill, which was more than $1,000. "Jacques claimed that the dental office had misled her brother-in-law because the dental office was not an in-network insurance provider under the brother-in-law's insurance plan. When the dental office owner offered to write off a few hundred dollars of the bill, Jacques insisted that the owner write off the entire remaining balance. "When the owner refused, Jacques threatened to contact the insurance company to have the dental office removed as a plan provider, and also to report the dental office to the Consumer Protection Division of the Attorney General's Office." The commission said it would schedule a hearing on the case within 90 days.